Considered on par with the American M1 Abrams, the German-built Leopard 2A7 is another generation of excellent German tank engineering. Armed with a Rheinmetall 120mm smoothbore gun and two machine guns, the Leopard also features an MTU MB-837 Ka501 diesel engine capable of putting out 1,500 horsepower. There are several modern advancements, including the PERI RTWL (Round View, Day, Heat, Laser) stabilised glass optical periscope. This sight contains a daylight CCD camera, fiber-optic gyros, a third-generation Attica thermal imaging device, and an image fusion function. This feature provides another solution to a typical tank problem: long range vision. 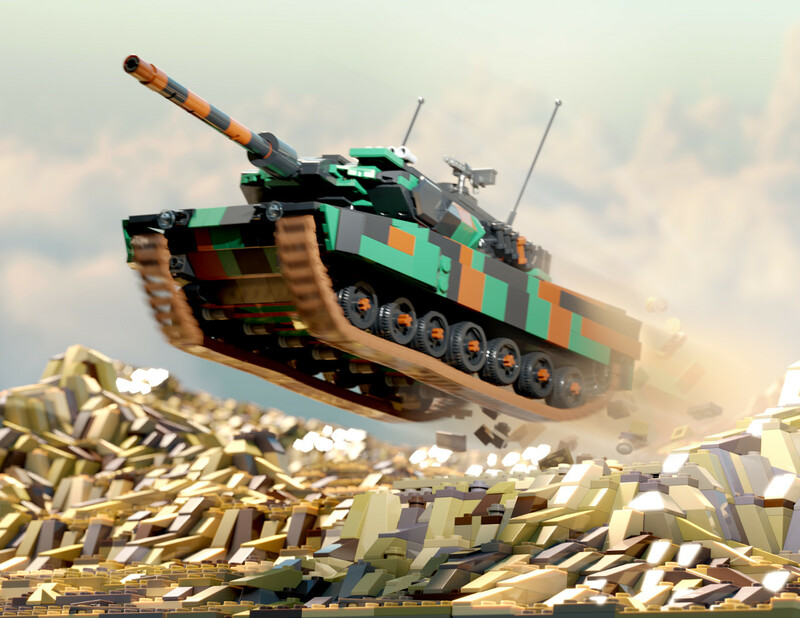 The Leopard’s design makes it a suitable tank for urban combat. Its modular protection kit with passive armor modules affords the crew excellent survivability against mines, improvised explosive devices (IEDs), and rocket-propelled grenades (RPGs). It also features smoke grenade launchers to help conceal the tank from enemy fire.